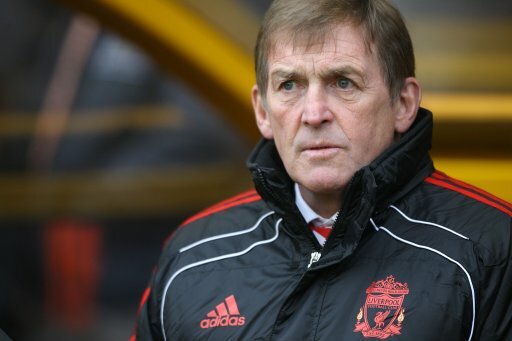 Liverpool owner John W Henry has given the clearest hint to date that current interim Kenny Dalglish will be handed the full-time manager’s role at the end of the season, after claiming that the Scot is the most ‘beloved sportsman’ he has ever had the pleasure of working with. “I haven’t come across any sportsman in any sport anywhere in the world who is more beloved by the fans than Kenny. “They love him not just for what he did on the field, but off the field too, through some very difficult times for the club and the supporters, and that ­relationship is really ­important. “We have a unique skill set at Fenway, and it is perfectly suited to breaking what they call ‘the curse’. Several of this morning’s national newspapers have picked up Henry’s quotes, with the Mirror’s football arm gleaning that Dalglish is now ‘almost certain’ to be handed the reigns and both the Guardian and the Telegraph duly following suit – albeit using slightly more verbose vernacular. John Henry seems like a reasonable man, the kind who will go with something that’s working until it stops doing so, and so far the dalglish/clarke partnership is working so why the hell not? I’d be over the moon if Kenny stayed on, would now be very surprised if he didn’t. Really don’t think they’d allow a caretaker manager to spend more than £50m and I agree with @spectator, John Henry seems like a reasonable owner, understands patience is needed with managers, seemed hesitant to say Hodgson until he really had no choice. Also, it’s nice to see Dalglish do so well after all the doubters laughed at him coming back to the job! !